Prague is renowned as one of the world’s most beautiful cities, seducing the visitor with its magical atmosphere of romance and poetry, and its treasure trove of architectural gems. To truly savor the magic of this ancient Bohemian capital, our Gourmand Tour offers an abundance of fine dining experiences, ranging from exquisitely prepared traditional Czech dishes to the latest in imaginative Nouvelle cuisine. 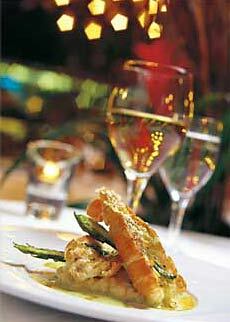 For discerning visitors who wish to indulge their Bohemian tastes, a host of gastronomic delights await them. This tour is an Epicurean’s delight! It is no secret that our lovely capital has proved attractive in recent years to numerous young, internationally trained chefs of the highest order. Their artful, mouth-watering creations, be they French, Italian, Thai, Indian or variations on Czech traditional cuisine, are the talk of the town. Numerous restaurateurs, lured by the beauty and aura of Prague, have opened restaurants catering to the discriminating gourmet in charming mills, lush arcades and 19th century converted Burgher houses. Our medieval cellars serve the finest red and white wines from the vineyards of Moravia. For the beer connoisseur, our traditional pubs and old-style breweries offer world-famous Czech beers. Set against the fantastic backdrop of magic Prague, amidst its quaint streets, Gothic towers and gold-tipped spires, our Gourmand Tour promises a memorable culinary adventure.